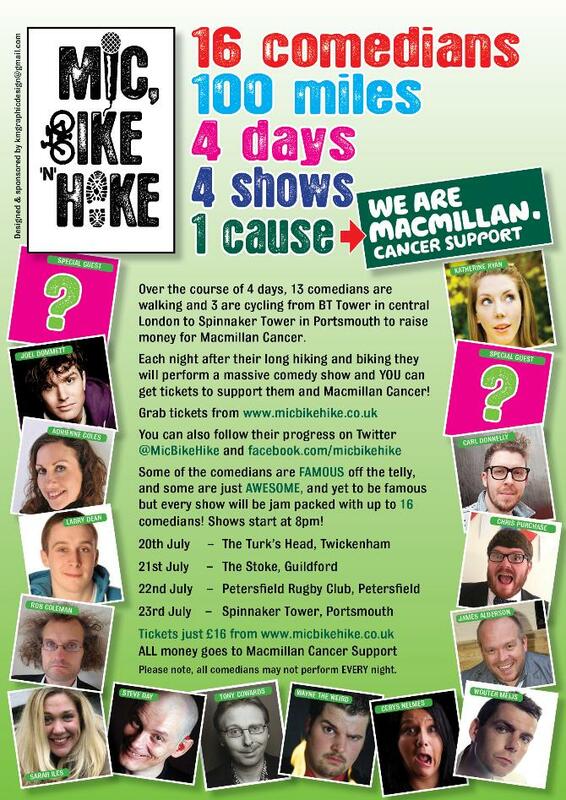 Don't laugh, but on 20th July a big group of stand-up comedians are walking, and some are cycling (a longer route) from the BT Tower in London to Spinnaker Tower in Portsmouth, to raise money for Macmillan Cancer Support. It will take 4 days. Every night there will be a show at the town they arrive in along the way! Tickets for these shows are available NOW, or please click the link below to donate to the cause and to support our adventure! ALL MONEY RAISED GOES TO MACMILLAN CANCER SUPPORT.